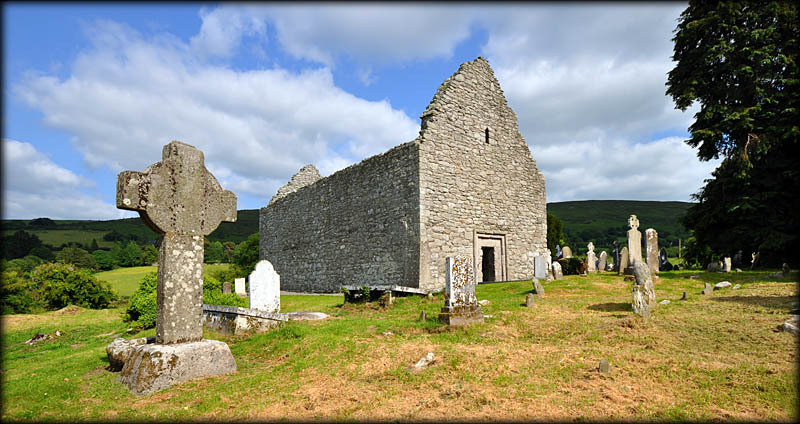 The monastery at Aghowle is thought to have been founded by St Finian of Clonard in the 6th century, but there is no evidence to support this. At the site today there is a 12th century Romanesque Church, a plain high cross, a large stone font and several cross slabs. Most of the south wall of the 18 metre-long rectangular church is missing. 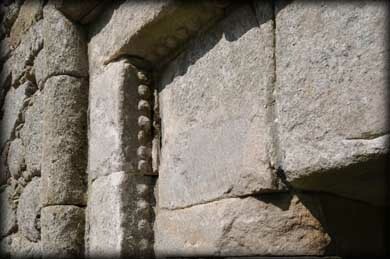 In the west wall is an unusual rectangular shaped romanesque doorway with decorative beading. 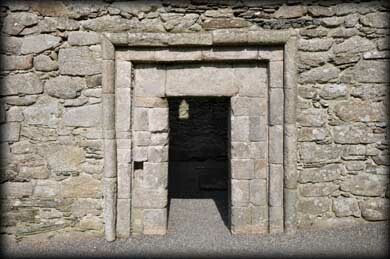 The doorway is lintelled on the outside and arched on the inside. In the east gable are two small windows. 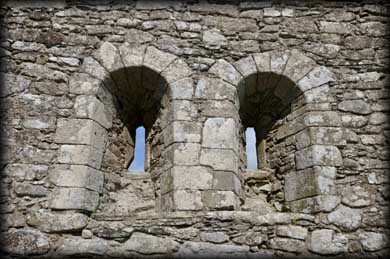 These arched windows have flanking columns supported on capitals visible on the exterior. To the northeast of the church is a 2.8 metre high imperforate ringed cross standing in a pyramidal base known as St Finden's Cross. There are sunken panels in the shaft and underneath the arms. 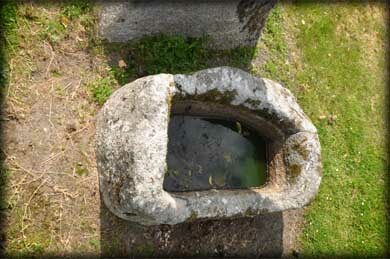 Located on the eastern side of the cross is a large stone font which is believed to be pre-Norman. A wander around the church and the graveyard is well rewarded as numerous cross slabs and a few smaller fonts are to be found nestled amongst the gravestones. In the field to the southeast is a large bullaun stone, which I could not view on this trip due to an electrified fence. 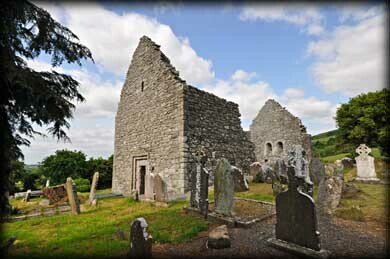 Situated: From Tullow head east on the R725 for about 8 kilometres. At the crossroads turn right for Aghowle. 1.6 k turn left at crossroads. Then turn right. After 1k take a right at the fork marked Aghowle church. Go to the end of here. Discovery Map 62: S 9311 6942. Last Visited June 2013.